Dog Walking Folsom, CA | Folsom Dogs On The Go! Alex is the best! She is responsible, reliable, knowledgeable, professional and has an inherent common sense - something you can't teach! Her compassion and love for the animals is un-equaled. When Alex takes care of my animals I rest easy knowing they are in good hands and that Alex will competently deal with any situation that arises. Folsom-ites are VERY lucky to have Alex in their town! There is no one better than Alexandria Jahn, at Folsom Dogs on the go, to take excellent care of your pets, when you need a responsible, reliable petsitter. She is very passionate about doing an excellent job for us and always exceeds our expectations "babysitting" our dogs, Max and Maverick, when we go on extended vacations. We LOVE that she is able to meet our sometimes last minute requests for a mid day walk and does so with a great attitude! I always feel confident that they are in very capable, loving hands, when they are in her care. I strongly would recommend her services! I'm so fortunate to have found Alex Jahn at Folsom Dogs on the Go! She's truly the best dog sitter I've ever had. Alex is so reliable that I could set my watch by her regular visits and my dogs adore her. I highly recommend Alex as a top pet sitter who can be trusted completely and whose kindness will be appreciated by your beloved fur balls. For those of us who consider our pets our children, leaving them with a new sitter is never easy. From the first consultation visit with Alex, I knew she was the right sitter for us. Both of my "boys" took to her instantly and I could instantly tell that this was more than just a job to her. She was patient and playful and I could tell that she really loves her job. She offered to text me updates to ease any uncertainty I had and offered to come as many times as I wanted and didn't make me feel neurotic. :) When I came home my babies were happy and seemed unphased that I had been away. Thank you, Alex for loving my babies and taking excellent care of them. Folsom Dogs on the Go is the BEST of the Best! There is no better feeling when you have to leave your pets then knowing they are well care for. Not traumatized or upset because they are without you, but happy and enjoying the new friend they have made in Folsom Dogs On The Go! I left my two cats for five days while on vacation and used Alex for the first time to care for them while I was out. Not only were they happy (she took pictures and sent them to me...boy were my boys having a great time with the toy she bought them) but their routine was not disturbed or changed, and they were in their own environment, not in a boarding facility that was strange to them. They didn't have to stay in a enclosed area (no matter how nice a boarding facility is, it is not home) or have to be around other animals they are not familiar with. Alex also watered my plants and collected my mail, and all for less then what it would have cost me to board them in a facility. I will definitely use Folsom Dogs On The Go again! 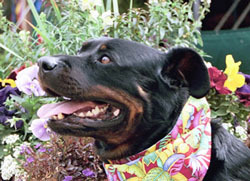 Folsom Dogs on the Go is the best pet sitting and dog care service around. Alexandria went above and beyond what we agreed upon for our needs and was there for our dogs when they really needed her. She is amazing and her prices are very reasonable. Alex's professionalism and reliability are why I chose Folsom Dogs on the Go for my pet sitting needs. Alex cares for my animals just like they were her own, and I am 100% confident in her services. Her love for animals and enthusiasm is demonstrated every day in the love and attention she gives to each animal she cares for. She often goes out of her way to exceed the needs of her clients with thoughtful attention to detail, and I highly recommend her. I have been using Alex Jahn from Folsom Dogs on the Run for the past 6 months for my pet sitting needs. I couldn't be more satisfied with her services. She seems to have a natural rapport with animals and even my most skittish cat responds easily to her. When I return from a trip there is always a handwritten log of tasks performed, items noted concerning my cat's behavior and health and sometimes a new toy! I can't recommend Alex enough. I feel completely comfortable leaving my beloved cats and kittens with her. 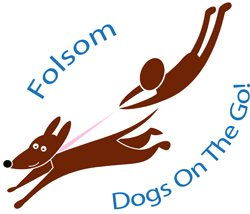 Copyright © 2007–2013 Folsom Dogs On The Go! All rights reserved.